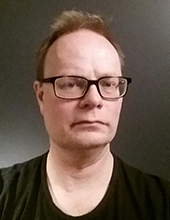 Petter Mostad's main focus of interest is Bayesian statistics. He has worked with a number of application areas, such as forensic genetics, forensic statistics, and biostatistics/bioinformatics, and earlier also within geostatistics. A particular area of work is likelihood computations for pedigrees, which are used for example in paternity DNA testing. He has co-published the free software Familias, and also several R packages. There might be more projects where Petter Mostad participates, but you have to be logged in as a Chalmers employee to see them.